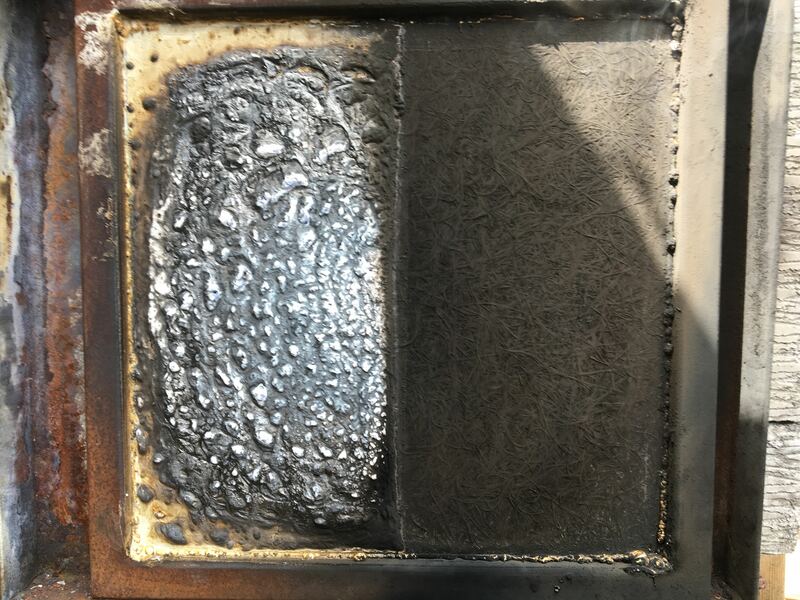 Clark Wright Ltd, has developed a unique, water based fire resistant solution for application to GRP panels, making them in effect indestructable. The product has enabled a 2 mm thick, class two component, when treated to become totally fire proof, which in tests remained intact for ten minutes plus at temperatures in excess of 850°c, whilst offering up to and including 60 minutes of fire protection. Often, public service vehicles involved in road traffic accidents require new GRP panels, including the front and or rear dome panel which incorporates the front and rear of the vehicle in its entirety. An application of ‘Surefire GRP’ to the inner surface of, the front, but more importantly rear dome will, in the event of a fire occurring in the engine bay prevent the fire from spreading by denying it access to a fuel source, that being the resin in the GRP components. ‘Surefire GRP’ can be applied to all panels requiring an upgrade. ‘Surefire GRP’ when exposed to fire expands up to 25mm depending on the thickness of the original application, effectively forcing the fire away from the substrate it is protecting, and by self extinguishing, cooling the area at the same time. Below are two videos, showing how ‘Surefire GRP’ protects a 2 mm thick GRP panel, and how a 2 mm GRP panel half treated reacts to fire.